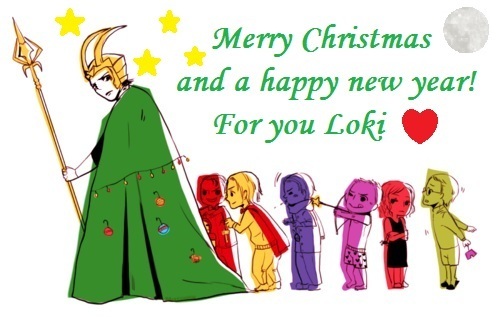 Merry Natale Loki!. A merry Natale and a happy new anno for Loki ;D. Wallpaper and background images in the Loki (Thor 2011) club tagged: loki fanart christmas. This Loki (Thor 2011) fan art might contain anime, fumetti, manga, and cartoni animati. That awkward moment when te realise that Loki has been mimicking your profilo pictures. te Were Made To Be Ruled! RoseTheCow13 look to the Image Credit! So cute! I do love it.